Today in New York, The LEGO Group is having a event to celebrate the premiere of LEGO Star Wars: The Yoda Chronicles next week Wednesday on Cartoon Network. 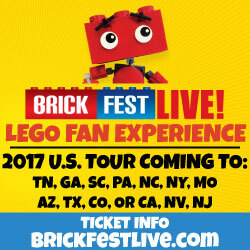 They will be unveiling the world’s largest LEGO model and s you can see from the image above, it will be pretty big. The “set” called the Secret Model Indestructable Box contains 5,335,200 pieces and weighs 45,980 lbs. Once unveiled to the public, the model will be on display until May 25th so if you’re in Times Square, you can go take a look at it too. If you’re on Twitter, follow The LEGO Group to see their updates on the event by using the hashtag #LEGOYodaNYC. 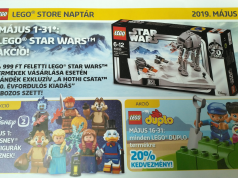 Last week, LEGO sent out a promotional set to the media to promote the animated series as well. Update: The model has been revealed and it is a life-size X-Wing Starfighter. More details after the jump. NEW YORK CITY (May 23, 2013) – The LEGO Group today unveiled the world’s largest LEGO model, a 1:1 replica of the LEGO® Star Wars™ X-Wing starfighter, in New York’s Times Square. To celebrate the upcoming premiere of The Yoda Chronicles on Cartoon Network on Wednesday, May 29 at 8:00 p.m. (ET, PT), the massive replica took 32 master builders, five million LEGO bricks and over 17,000 hours to complete. The model weighs nearly 46,000 pounds, stands 11 feet tall and 43 feet long, with a wingspan of 44 feet. The Model will “take off” for a summer landing at LEGOLAND® California Resort where it will be installed through the remainder of the year. 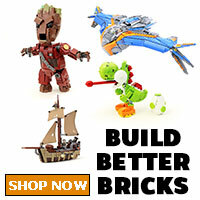 LEGO Star Wars is the original and most successful licensed product collection in The LEGO Group’s history and remains among the best-selling global toy lines. The theme’s evergreen strength comes from its appeal across generations to fans of all ages and a steady introduction of digital content such as The Yoda Chronicles to compliment the building experience. 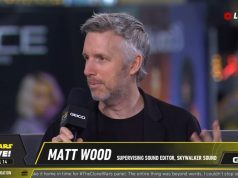 “Much the same way that fans can build the Star Wars universe with our LEGO sets, we are fortunate to work with Lucasfilm to build new stories, characters and vehicles through one-of-a-kind content such as the new “Yoda Chronicles” miniseries launching on Cartoon Network,” said Nicholas Hort, LEGO Star Wars brand manager. The model was heavily engineered to withstand all the transportation, setup/break down and to ensure it was safe for Times Square given the subway system below and California’s seismic requirements for the LEGOLAND California Resort installation. The Yoda Chronicles is an exciting, funny and action-packed new LEGO Star Wars story told in three animated TV specials. “The Phantom Clone” will premiere on Wednesday, May 29 at 8:00 p.m. (ET, PT) on Cartoon Network with specials two and three airing later this year. In the first of three specials, a brand new character, Jek 14 will enter the Star Wars universe. Created by the LEGO Group, Jek 14 is a clone who has been ‘enhanced’ by the Force. 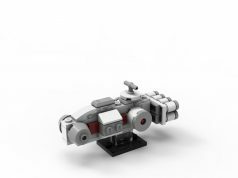 The most detailed and realistic version of the construction set, the LEGO Star Wars Red Five X-Wing Starfighter, is now available as the ultimate collectible. 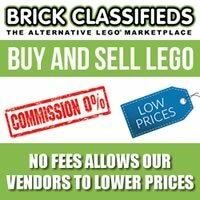 This exclusive model that contains over 1,500 LEGO bricks comes with a special display stand and data sheet label, is available at LEGO® brand retail stores and shop.LEGO.com for $199.99 USD. This LEGO® Star Wars™ X-wing Starfighter model is the world’s largest LEGO model built to-date, 11-feet tall and 43 feet long with a wingspan measuring 44 feet. 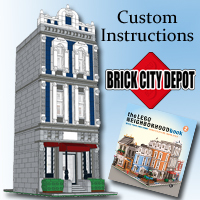 It is a 1:1 model 42 times the size of a detailed building set currently available for children of all ages. After three days in New York City’s Times Square, the Model will “take off” for a summer landing at LEGOLAND® California Resort where it will be installed for the remainder of the year. An international team of designers, builders, engineers, mechanics and logistics experts spent over a year bringing this model from brainstorm to reality using the same bricks and elements featured in the general LEGO retail collection. LEGO®Star Wars™ returns in epic style with The Yoda Chronicles, an exciting, funny and action-packed new LEGO Star Wars story told in three animated TV specials. “The Phantom Clone” will premiere on Wednesday, May 29 at 8:00 p.m. (ET, PT) on Cartoon Network with specials two and three airing later this year. In the first of three specials, a brand new character, Jek 14 will enter the Star Wars universe. Created by the LEGO Group, Jek 14is aclone who has been ‘enhanced’ by the Force. Set in the prequel Star Wars era, The Yoda Chronicles features the one and only Yoda — the Jedi Master who has seen it all, done it all and taught generations of Jedi Knights. With help from a fresh class of Padawans, Yoda leads the Jedi in a desperate fight to stop Darth Sidious and his minions from creating a new super-weapon that could crush the Republic and win the war for the forces of evil. In “The Phantom Clone,” under the orders of Darth Sidious, Count Dooku sets out to create the new ultimate weapon for the Sith. It is now up to Yoda and the Padawans to prevent Dooku from carrying out his plan but will they be too late? Tune-in on Wednesday, May 29 at 8:00 p.m. (ET, PT) for action, suspense and comedy in this all-new LEGO Star Wars special. The LEGO Star Wars specials have quickly become fan favorites on Cartoon Network. Last year’s The Empire Strikes Out premiered as the #1 telecast of the week among boys 9-14, and the #1 telecast of the day among kids 6-11 and key boy demos, according to Nielsen Media Research. LEGO Star Wars: The Yoda Chronicles is written by Michael Price (The Simpsons) and produced by Threshold Animation. This special marks the first time entirely new Star Wars characters and vehicles have been created specifically for LEGO Star Wars. Building sets related to The Yoda Chronicles and featuring Jek 14 will be available in August. Cartoon Network is consistently the #1 U.S. television network among boys 6-11. Currently seen in 99 million U.S. homes and 194 countries around the world, Cartoon Network is Turner Broadcasting System, Inc.’s ad-supported cable service now available in HD offering the best in original, acquired and classic entertainment for kids and families. In addition to Emmy®-winning original programming, industry-leading digital apps and online games, Cartoon Network embraces key social issues affecting families with solution-oriented initiatives such as Stop Bullying: Speak Up and the Move It Movement.